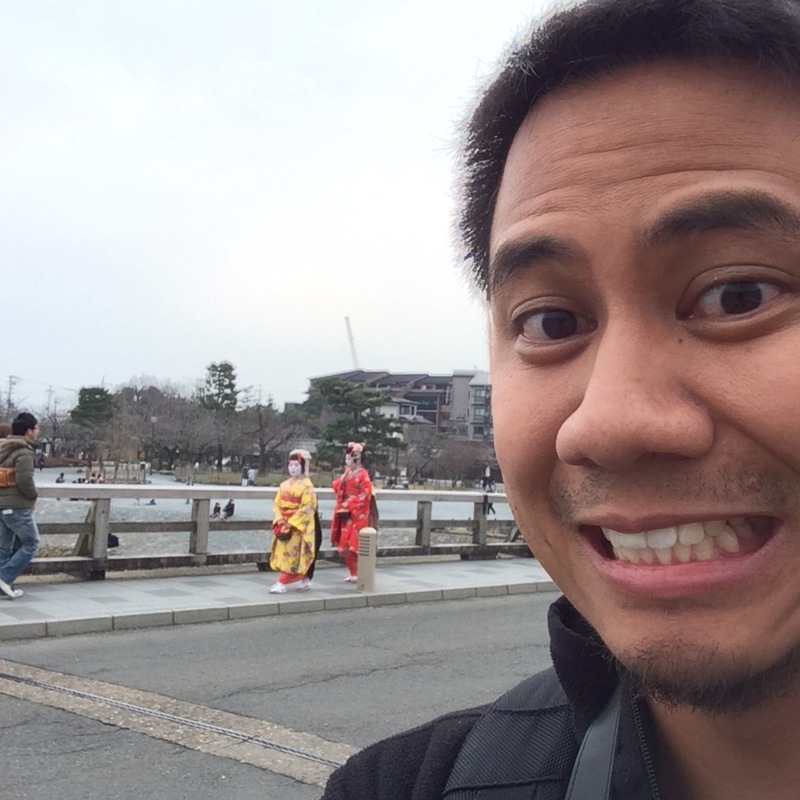 After visiting Monkey Park, I headed back towards the main drag through Arashiyama. The streets were a little more crowded because it was later in the afternoon. When I crossed the scenic bridge again, I happened to notice out of the corner of my eye two Japanese women dressed as geishas. I saw other Japanese ask for pictures with them, and a part of nearly did the same but my sore lacking in conversational Japanese made me think twice. In my hesitation, they ended up across the street on my side where I was walking, and even passed me. Now, this is Kyoto. 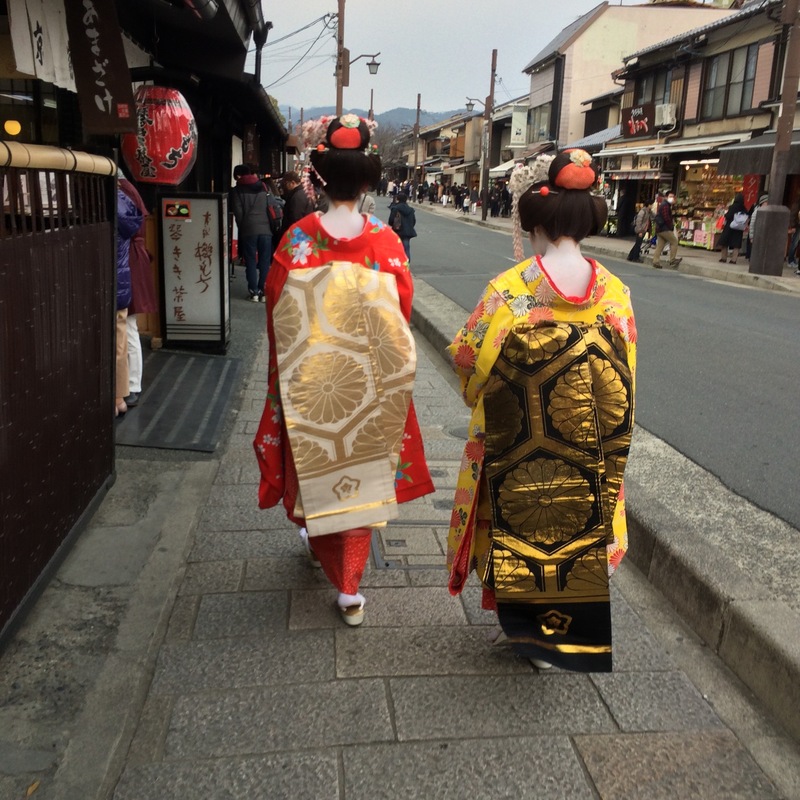 I’ve read multiple times that the likelihood of seeing a geisha is highest in Kyoto. Truly, I didn’t think I’d see any this trip since Arashiyama is far, far away from the Gion District where it’s the most likely to see them. I was attempting to walk towards the Bamboo Grove, but for some reason they were also headed in the same direction that I needed to go. I didn’t want to make it seem like I was the weird foreigner/tourist following them so I stayed back at least ten steps. They eventually made a turn somewhere just before one of the entrances to the Grove. I entered at one of the edges of the Grove. However, I was not really convinced that it was a grove. It evoked more of a forest feel rather than a mere grove. I wasn’t sure if there was any prescribed path as there seemed to have been multiple paths in the “forest” so I just followed where most of the crowd was walking. 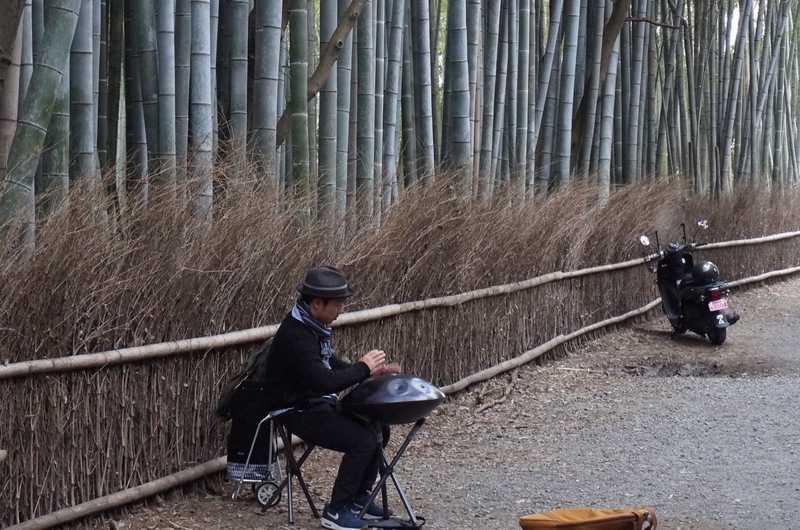 I eventually came to a fork and randomly this steel drum-playing guy was jammin’ passionately among the bamboo stalks. I took brief break to sit down on a rock while listening. Then I proceeded to keep walking, and I ended up on some other edge of the “forest”. Then I somehow ended up in a neighborhood. Then out of nowhere, I was at a train station. I fortunately found my way back to where I entered the “forest”. 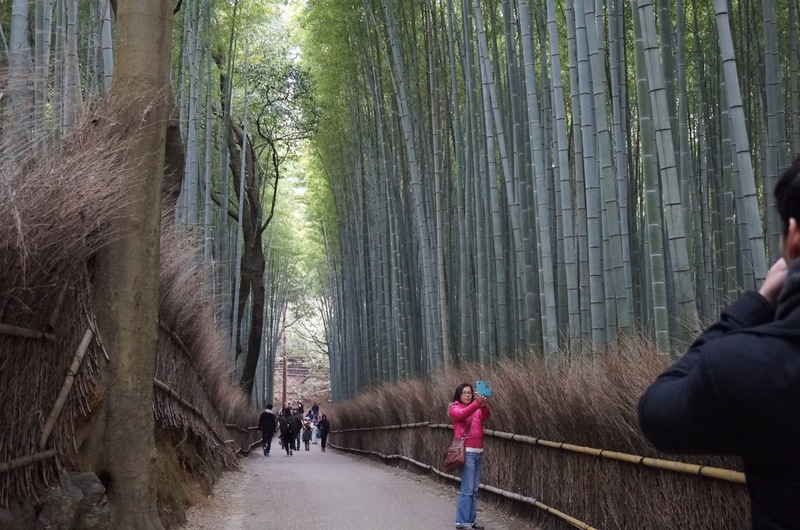 There is no cost associated with the Bamboo Grove. It’s decently close to Arashiyama Station and Monkey Park. One thing I noticed, in particular, is how you can pay for a Japanese guy to run you around in a carriage through the Grove. Carriage-wielding guys seem to be a thing in Arashiyama, in general. Not sure how much it costs. By the time I got done walking through the Bamboo Grove, the sun was setting. I decided to grab food along the same street with the scenic bridge. I found a place that specialized in “things on rice”. I ordered some beef on rice set (with miso soup), and it was delicious. I was pretty hungry having walked around a lot. After dinner, I slowly walked back to the subway station taking in the sun setting in Arashiyama.